Summit: 2.698775N, 102.047788E 836m a.s.l. 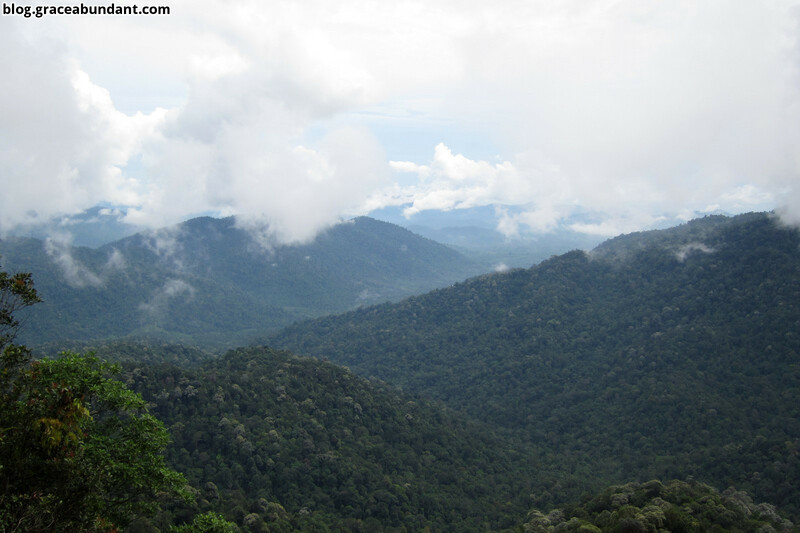 Most of what I have read about Gunung Angsi seems to imply that the climb isn’t that interesting, and that Gunung Angsi lacks views. While there is some truth to this, Angsi is still a place I wanted to visit at least once. 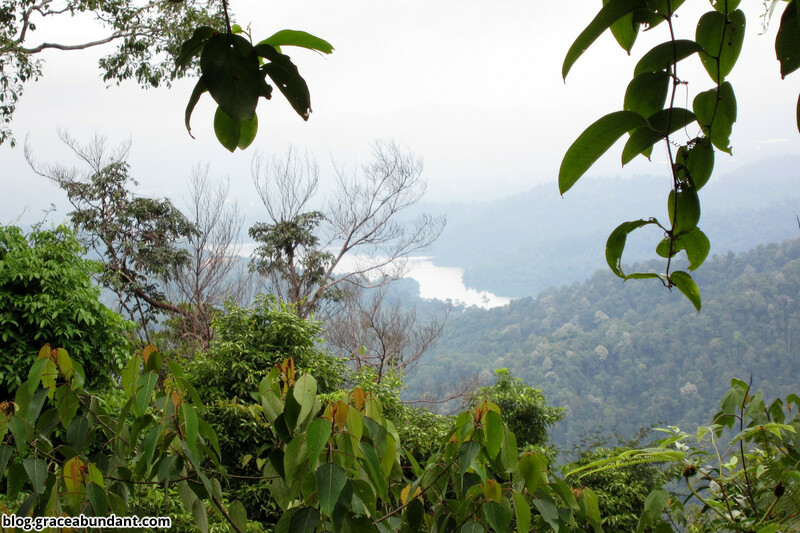 There are (apparently) 4 trails which lead up to the summit – via Bukit Putus, Ulu Bendul, a third trail I don’t know much about, and an apparently disused 4th trail. To see as much of Angsi as I could in half a day, we decided to take the Ulu Bendul route up, and return down via the Bukit Putus trail, and walk back along the road to our cars. 3 of us from PJ joined the Seremban climbing group that we hiked with up Gunung Ledang. 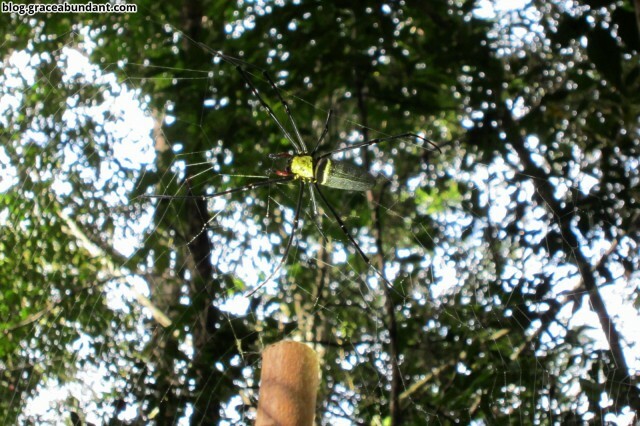 We left PJ at 6.15am, and after a smooth drive, arrived at the Ulu Bendul recreational park at 7.30am. If you’re not into climbing, the recreational park is ideal for quite a number of outdoor activities such as camping, picnics, playing in the river (there’s a swimming pool of sorts filled with the river water), etc. The Ulu Bendul trail is definitely harder than the Bukit Putus trail, as it starts over 100m lower down, and is longer as well. 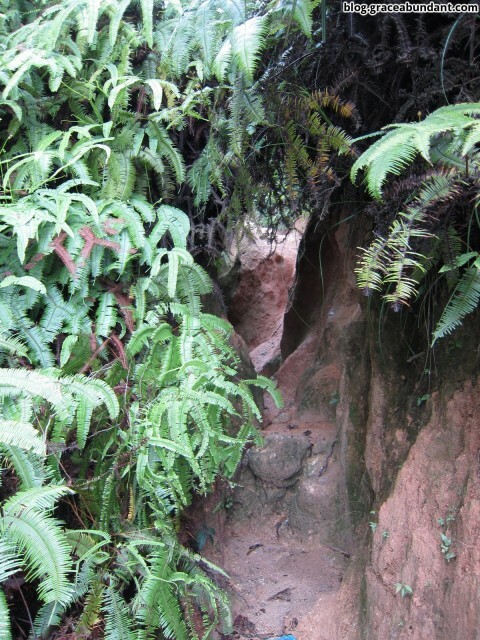 The first 4km of the trail is pretty straightforward, and does not gain much altitude at all. We had to cross 2 small rivers, which some of us were able to do by hopping from rock to rock (which carries the risk of slipping and ending up with wet feet), while the others removed their shoes (safer). There’s a final steep climb after the rope section after which we emerged at the summit, about 840m up. 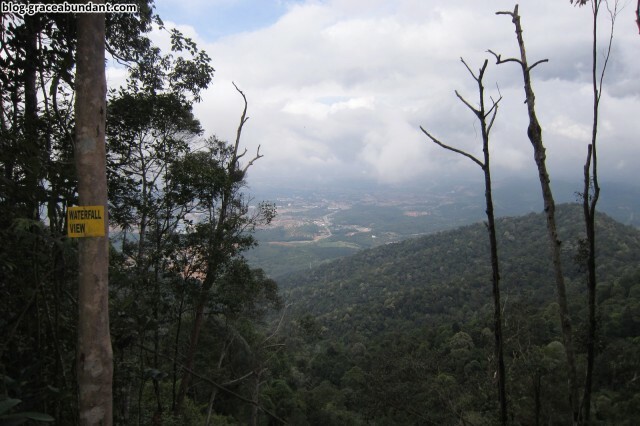 There weren’t any “spectacular” views from the top, but we could see Seremban to the west, and more hills to the east. The journey up took us 2hr 50min at a relaxed pace, while going down the Bukit Putus trail took us about 1hr 30min. Along the way down, we passed by Panjang’s Rest Area, where there’s a good number of chairs to relax on, and one of the locals apparently gives out refreshments there, though no one was there on the day we climbed. After we reached the start of the Bukit Putus trail, we walked back along the main road – 4km in total, which took us about 45 minutes. For me, Angsi was more of a training climb, as I was carrying a lot more gear than I normally would (about 11kg in total). I didn’t expect any great views (and as expected, didn’t get many), but it was still an enjoyable climb with good company. If you’re planning to visit Gunung Angsi only once, I do recommend trying both trails as it gives you some different views along the way (i.e. Bukit Putus trail has some open views, while Ulu Bendul has some streams/rivers). “Waterfall view”, though I’m not sure where the waterfall is. Along the Bukit Putus trail. Minimum 2L fluid, isotonic recommended. been there again sept 2014 . climb through b putus , finishing at ulu bendol then walking to my car the same 4km . solo climb again . Thank you for an excellent trip report. 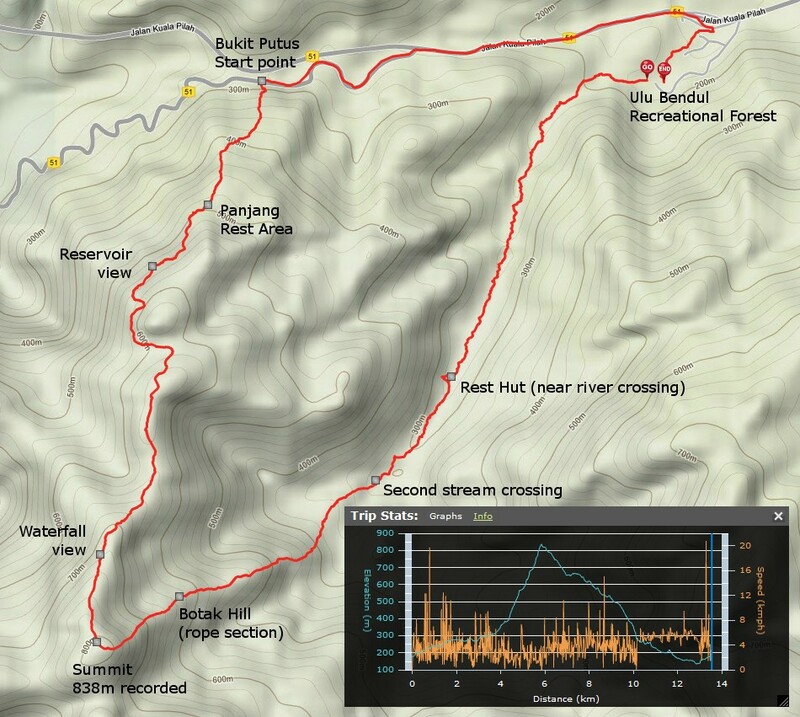 Your notes and map is invaluable to those contempting climbing Gunung Angsi. Thanks for the trail map. 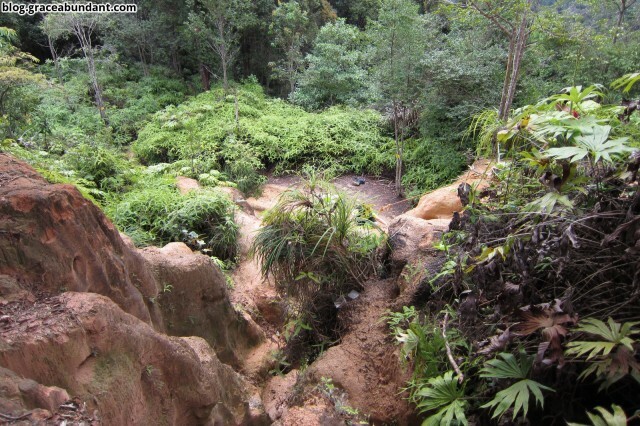 Initially I wanted to use the Ulu Bendul trail but after looking at the map, would do the Bukit Putus trail instead. Is there any landmark or office to mark the start of the Bukit Putus trail? Good trip report, thank you. I used this to research my recent trip. How far it’s from KL?